There is always time to enjoy a little of the best a destination has to offer. Even when you’re only spending 24 hours in the city in question. The secret? Getting your hands on the best tips, obviously. And to kick things off, we’re heading to Brasília. Tips on bars, restaurants and tours that are worth checking out. There’ll be no waiting around, killing time, ok? You deserve much more when there’s a little time open in your agenda. So, join us on this tour through the Federal Capital. Depending on what you need to get done in the Federal Capital, you can check into your hotel during the day or at night, after your business meetings, for example. Regardless of this, we’re going to look at basic plans for those spending 24 hours in the city. Important: consider doing intersting things, sure, at cool place, of course, as long as they are close to where you’re doing business or your hotel. Time flies, and no one wants to spend their valuable time stuck in traffic. Take it from us! There is no lack of options when it comes to good food and entertainment around the hotel Royal Tulip Brasília Alvorada. Having your morning meal at the hotel is always a good idea. It optimizes your time and is usually included in your stay. The Herbs Restaurant, located in the RT Brasília Alvorada offers three meals (breakfast, lunch and dinner) of the highest standard. Simply delicious! For those who enjoy different types of meat, the traditional Bar do Alemão has a large menu offering fillet steaks, cod fish and chicken dishes, as well as their famous roast pork with crackling. If you manage to get out of any meetings before nightfall, be sure to enjoy the sunset from Paranoá Lake. It’s a spectacular sight that covers almost the entire extension of Royal Tulip Brasília Alvorada and Golden Tulip Brasília Alvorada. Also just a stone’s throw from the hotel is the Nossa Senhora Aparecida Metropolitan Cathedral, designed by Oscar Niemeyer. The local architecture is a spectacle apart, and on the inside is a life-size replica of the Pietà, by Michelangelo. Ah, along the way you can also see Palácio da Alvorada, Palácio do Planalto and several other monument attractions. It’s really beautiful! If you’d prefer more of a bar atmosphere, try Bar Brasília. It is the meeting point of Brasília’s bohemian following. Decorated in the style of the famous bars of Rio de Janeiro from the past, they serve the wildly popular DF draft beer, as well as excellent snacks and other labels of cold beer. Would you prefer to enjoy the happy hour and then head to your room to relax? Visit Bar do Capitão. It offers a delicious variety of snacks and sandwiches. 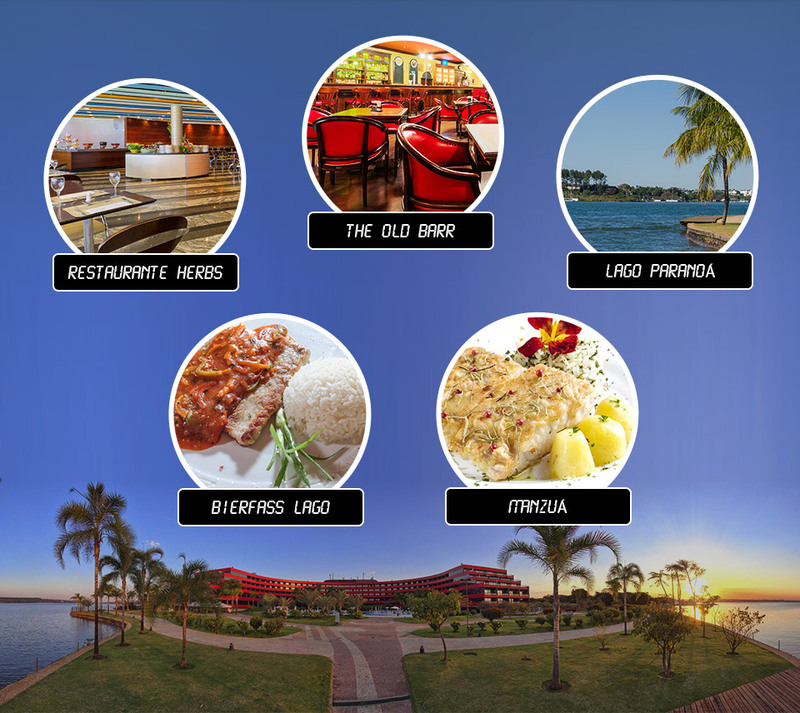 After this itinerary, we’re sure that your 24 hours in Brasília will be loads more fun. No more excuse! Time to make the best of your trip. Until the next destination!